Keeping things simple (but crisp), our eighth grade students are meeting the “wonder and wander” time of the year head-on during their Integrated Physics and Chemistry class. Students had to predict the number of connected rubber bands needed to grant a Barbie doll the ability “bungie jump” from our balcony to the base level floor. Barbie had to drop safely, but also to arrive as closely as possible to the ground. One partner dropped the doll while the other measured the minimum distance from the ground. An iPad recorded this attempt in super slow-motion. Enjoy! I (Kirsten) shared this quote with my awesome #IMMOOC blogging buddy (Charlie) and even though it is not from The Innovator’s Mindset, we felt like it directly correlates to our work and mission. Here is our buddy blog experiment sharing the wonderings about leadership, empowerment and impact. Check out the blog developed by my good friend, Kirsten: Leadershift. We would love to hear your thoughts on this topic, please share in the comments. What are you doing to improve others and make a lasting impact? As I complete another chapter in The Innovator’s Mindset, I reflect on the value that is added to our community by utilizing Tom Rath’s Strengthsfinder program. Yesterday, our headmaster took a moment to recognize the obvious impact that the Strengthsfinder program has made on our collaborative mindset and interpersonal understanding in our school. February was a tough month for us programmatically, a stressful one filled with admissions decisions, and a long one as there were a lot of school days between President’s Day and Spring Break. Students, teachers, and administrators were exhausted and stretched thin. The long break was a welcomed gift as we turn the final corner of the school year. Yesterday’s meeting was the first leadership meeting we have had in some time, so it was nice to see the faces of our colleagues, united in the mission to sprint through the finish line. In order to do this effectively, we took a fresh look at our collective strengths and how we plan on using them in the coming weeks. As if it is our calling card, our strengths are visible representations of how we can add to solutions-based effort at an institutional level. We lead with from our strengths while recognizing and addressing those of our colleagues. It is a methodology that creates honesty and validity to our discussions, be they minor or major ones. While we focus on the positive impact each member of this team has with students, we recognize that our strengths, as identified by the Strengthsfinder platform, provide others the skills set that we offer as individuals. As if it is our calling card, our strengths are visible representations of how we can add to solutions-based effort at an institutional level. The strengths of each faculty and staff member are available in a shared document for all to see and reference, and most of our faculty discussions exist in the an environment where our strengths are printed or projected. This intentional component of professional conversation provides clarity regarding “who we are dealing with” in a meeting while giving us researched ways to relate to colleagues. The initial Strengthsfinder test provides a peek into our best talents and then discusses these way these talents relate to each other. I cannot begin to describe the revelation that comes from learning your “top five” talents (mine are individualization, learner, belief responsibility, and connectedness) and how you fit into your institution. My five talents have provided much clarity in my daily work, and those of my colleagues as revolutionized the way I handle one-on-one meetings. I highly suggest taking a look at this program for your institution. But be warned: this program opens a LOT of revealing doors. Once the data is out there, someone needs to help the community process that which is learned. Focusing on the positive and how your talents can enhance school culture – that is the endgame. 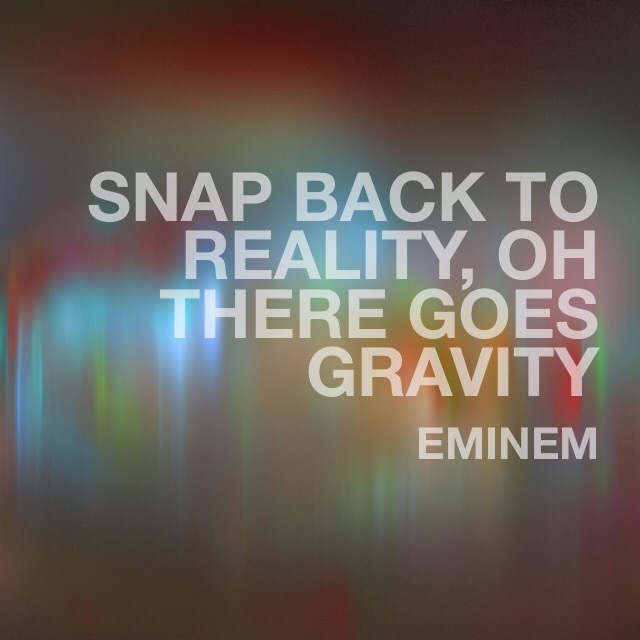 In case you are not a connoisseur of fine rap music from the early 2000s, Eminem coins the line above in his signature song, Lose Yourself, found in the movie “8 Mile,” and perhaps the most famous of his career…save for Slim Shady, that is. For it was Slim Shady that put a white rapper in the mainstream for the first time with a disruptive and innovative sound of someone who had to fight tooth-and-nail for acceptance. We return to school tomorrow! It is my hope that you have found time to rest, recharge, and prepare for the final lap to our own Mile Run. As I stated at the Luncheon before we left for break, Sir Roger Bannister broke the four-minute mile. While he may have run with a euphoria that I can only hope to find when running after Reid as he careens down the street on his bike, I can say for certain that the third lap in a mile run is the most difficult one. The exhaustion sets in, the monotony of the race seeps into your daily routine, and the finish line seems so far away. Let the endorphins take over; allow your adrenaline to fly; put your creative courage to the sticking place. It’s time to start the FOURTH QUARTER. I challenge you to make this week your best one all year…until the following week comes and you can further up the educational ante. You are learning as much and as fast as the students; allow vulnerability to have a role in your classroom. The average attention of a middle school student does not exceed 11 minutes. Use your time wisely and mix it up! Your students should leave your class at the end of the year with MORE questions about your content area than when they came in…pique their interests and get them wondering. The greatest problem solvers can oftentimes be the problem finders. Turn your student questions into research challenges that our young people can own and share with their peers. Have a great fourth quarter, everyone! As I think about Chapter 7 today, I reflect (yes, I know it’s a key component in today’s classroom…model the way, right?) on the value I bring to my division. I see every teacher and student as a leader in the learning space that I direct. While I don’t have my hands in all decisions or conversations (and I wouldn’t want to), this “forced autonomy” provides great opportunity for individual empowerment. In other words, everyone pursuing whatever goal necessary to move forward (curriculum development, studying to prepare for an assessment, or building a project plan, for example) must navigate her or his own path. It is my job to make sure these individuals complete the work to the best of their ability. If I am pushing them a little further or celebrating the small wins, I am “empowering the machine” to run with zeal and positivity. Thus, the difference between well-executed leadership and simply “managing” remains in how I allow site-wide autonomy to develop. It is my hope that all individuals working in my school carry the seeds of thoughtful, disruptive innovation. As for me, I plan doing the tiling along with more than a fair share of watering. 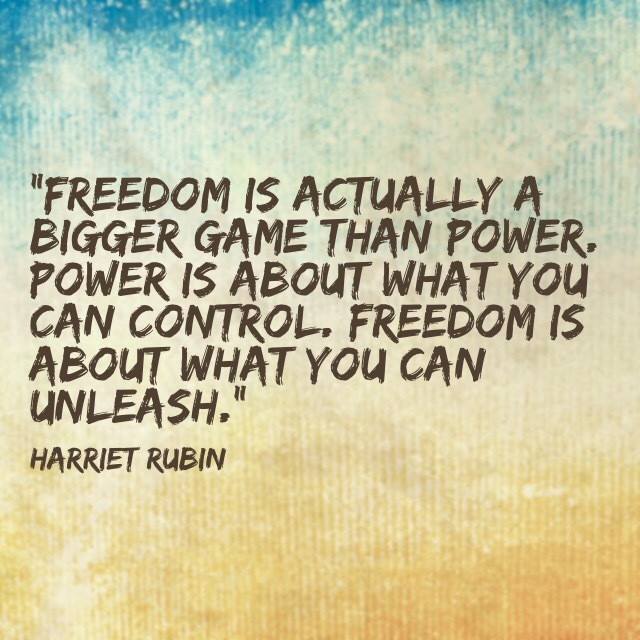 To truly be empowered, people need both ownership and autonomy. To move forward in education—to create a vision for education that then comes to life—we must take more than a top-down or bottom-up approach; we will need all hands on deck. This image popped up on my Facebook feed from a mentor teacher of mine. I actually had to check the spelling to make sure I wasn’t missing some sort of trick. Yet, there it was. Desserts and stressed, in perfect symmetry. In attempting to innovate, I find that we (the dreamers) often set our minds on the finish line without realizing we must run a marathon first. While the finish line is where we achieve our dreams (our new faculty program takes off; our new learning project is a highlight for the students; our new method of teaching in the classroom is a hit), the epic race requires our immediate attention. Looking that the picture above, I know I would spend my life eating ice cream and cake, leaving those cauliflower florets behind. But there is always stress before tasting victory (eating vegetables is NOT stressful, but just go with the metaphor). As Brene Brown writes about in Daring Greatly, the rumble in our arena is necessary to achieve victory. While the innovative process can be stressful, painful, or even overwhelming, the purpose of innovative thought can be that merengue pie you have been craving. But someone has to gather the ingredients. Someone has to bake the pie. Someone has to stick her/his neck out and share the creation. Each of these steps takes the will to risk failure for the sake of sweet victory. The scene posted above exists at the Glassell School of Art here in Houston, TX. This visual art installation represents much of our semester artwork from grades 5-8, and while the pictures posted depict only a few samples, there are TWO FLOORS of exhibit space with various art pieces that our students have created. We are all so proud of this art installation. Our students have demonstrated insightful and creative thought, and I am thrilled to see the innovative framework that our art teachers prepared. As I wrote about in my previous blog post, John Spencer’s opinion of innovation is one I agree with wholeheartedly: innovative work can be derived from any tool, tech-related or not. In the pictures above, you may be able to identify a few roosters in the background. This particular project asked students to paint WITH A FORK, blending color and adding texture to this two-dimensional image. The students really got into it, having a ton of fun while creating these pictures. It was difficult work! There were lots of consternation and restarts to achieve the image desired…I loved watching them squirm their way through it! While I don’t wish for teachers to measure self-worth based on comparison, the expectation to reflect on what is best for students in each classroom is a requirement for innovation. When I look at the Essential Questions in Chapter Two of The Innovator’s Mindset, I reflect on how the most innovative faculty member I know would answer each one. I would hope that this teacher accurately combines forward-thinking and practicality in pursuing the “next great thing” for his or her students. Overall, I expect and desire all faculty to offer their very best when it comes to daily procedure and innovative effort. While I don’t wish for teachers to measure self-worth based on comparison, the expectation to reflect on what is best for students in each classroom is a requirement for innovation. After all, what is best changes constantly; so riding the wave of innovation has become quintessential in the pursuit of institutional success. Learning Truly or Truly Learning? Finally, I want to focus on this specific question presented in Chapter Two: “What are some ways we can create a true learning community?” This is a wonderful question to consider as an educational leader. As presented in the text, an active learning community ensures that research and exploration remains in the hands of the learner and not the teacher. Among faculty members, much of this statement connects to the innovative mindset discussed above. Teachers must stay abreast of that “next great thing” for their classrooms, not as a directive from on high, but as a self-propelled study of interest. Teachers should take ownership of their professional development; and, we as school leadership should work very hard to ensure that teacher interests are validated. Academic pursuits to innovate in the classroom need to be celebrated, whether they crumble or succeed. Failure is just a first attempt at learning, and should be received with glee and we should “Keep Moving Forward” (see video). That is how I expect teachers to respond to student innovation, so I must model that expectation for teachers, too. At the same time, we want their research to create practical implementation in the short- and long-term. As Dr. Brad Gustafson commands in his UnearthED podcast, empowering teachers as readers of educational blogs, journals, or books keeps the job fresh and exciting for all. But the emphasis is on reading, in whatever medium, for personal and professional development. So many of us who are reading this blog are working through The Innovator’s Mindset; however, I would love to know how your schools share what is read…does your school have reading groups? Do you post on your doors the books you are reading? Can the kids see your lists? Feel free to comment with your experiences. Tired of the Square Peg Problem? Last month, I presented to teachers the idea of pursuing specific interests that would improve our school. The offer included coverage for their classes for a day (or more, if that is what it takes) to do the research and explore their ideas. One of the projects addresses the problem of grade leave meeting inefficiency. Specifically targeting teacher collaborative meetings, the leader of this FedEx plan has researched various meeting styles to explore better ways for us to gather productively. She has come across the Collaborative Meeting Design (CMD) methodology and has learned that another school in Houston utilizes this system. She will go and shadow a few of their meetings to learn about the system and reflect on its value compared to our current meeting environment. Should she determine CMD to be the right fit, her next goal will be to develop a training tool that the rest of us can review in order to utilize the system next year. A second problem identified by a teacher is that of empowering students to lead conversations in general class discussions (that is, beyond a presentation or prepared project). One of the programs I utilized in my previous school was the Paideia Seminar. (Simply put, Paideia means “education” in English). Built on a pedagogical paradigm from Paideia.org, the Paideia Seminar is similar to the Harkness model, but centers on wondrous, disruptive thought. The Seminar isn’t a dialogue about current content; instead, it focuses on a standalone primary source, creating analytical conversation about this source, and formulating questions that align the Seminar conversation to current content in the classroom. This process is galvanized by reflective writing at the end of the conversation. It’s quite innovative (or extremely classical in nature, depending on your point of view), and very easily incorporated into a school in search of ways to improve student-led discussion. Needless to say, I have been pushing for someone to find ways to incorporate this model into a classroom system. A teacher has stepped forward and asked for training in this model! She will work with me over the remaining school days (reading texts, studying teaching materials) and then we will think about the intentional design of Seminars throughout the coming fall. Once a month, our school gathers after the day is over to have small professional discussions. This past fall, our discussions have targeted the concept of assessment and how we can ask our students to demonstrate, via new and dynamic methods, their approach to mastery in the small- and large-scale units presented throughout the school year. The problem identified in this FedEx plan is that the PLC conversation has stymied a bit and teachers are looking for ways to refresh the conversation. In this teacher’s mind, faculty members should take more ownership of the PLC discussion and be able to demonstrate results in the classroom and throughout the school program. He has offered to research and design a new “PLC Model” that will enhance the innovative thought and accountability in future school years. Though we have not met yet, I imagine this teacher to be quite creative in the retooling of the PLC program. A whole lotta thinking going on here! I am so proud of those teachers who are diving into the deep end with FedEx Day ideas. As these problems develop into action plans and those plans take effect, I will follow up with more documentation. Thanks for reading…should you have two cents (or 200) on one or all of these subjects, do not hesitate to comment and share so that I can pass the thoughts on to the teachers working on each plan.